TROY — Plex Systems, the Troy developer of industrial management software, announced it has acquired Dattus Inc., a Troy-based developer of software to connect manufacturing equipment and sensors. 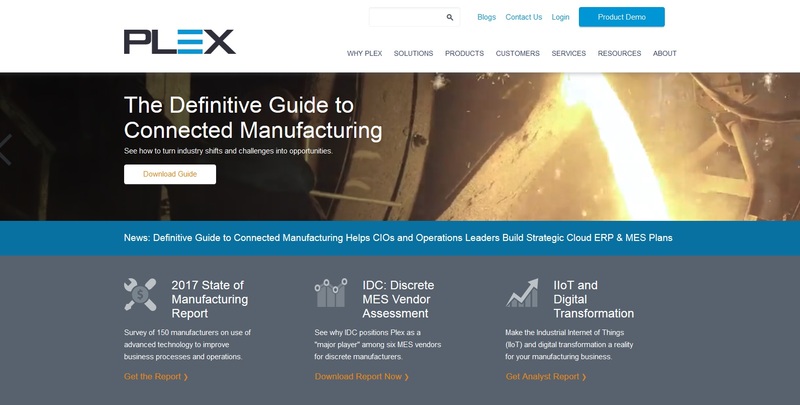 Plex officials said Dattus brings to the Plex Manufacturing Cloud three major capabilities that will become central to Plex’s long-term Industrial Internet of Things (IIoT) strategy — IIoT Connectivity, IIoT Data Management, and IIoT Data Analysis. * IIoT Connectivity: Dattus has simplified machine connectivity, providing plug-and-play solutions that work with the wide variety of protocols and data types used by equipment and sensors on the manufacturing shop floor. * IIoT Data Management: the Dattus IIoT platform captures and manages the extraordinary volume and variety of machine data to support real-time visibility into activity across production operations. * IIoT Data Analysis: Dattus analytics enable operational and business leaders to understand IIoT data in motion, providing decision support in areas such as predictive maintenance and machine performance.